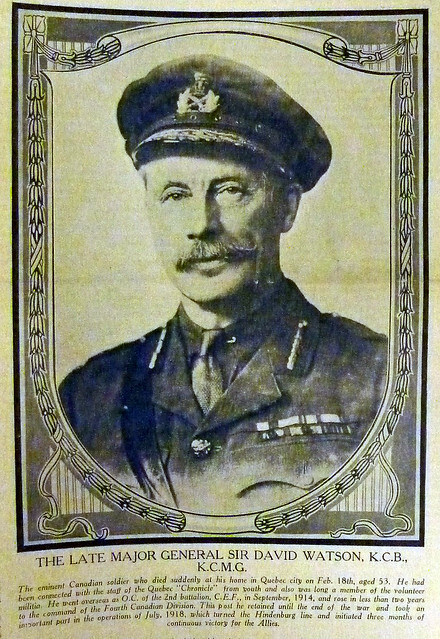 Major General Sir David Watson, D.S.O. 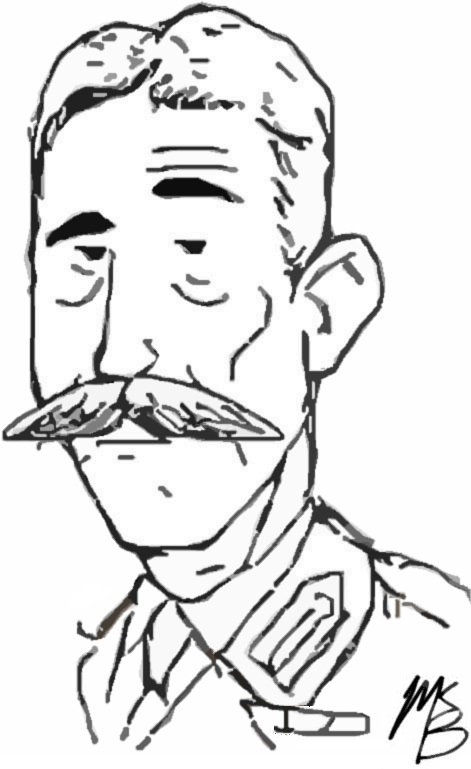 Had he not been colonel he would have received the V.C. for this. Ypres made him a marked man, and it left its mark on him. His friends say that he aged ten years in the ten days, for he and his battalion were in the fiercest part of the fighting. David Watson was a sportsman, journalist and owner of the Quebec Morning Chronicle. He was born in Quebec City on 7 February 1869. In his youth, Watson played for the Quebec Hockey Club and became active in the 8th Royal Rifles. Watson, a Conservative Party supporter and friend of Militia Minister Sam Hughes, was selected to command the 2nd Battalion when the Canadian Expeditionary Force assembled at Valcartier. The 2nd arrived in France in February 1915 and first saw action at the second battle of Ypres in late April. Remarking on the large number of troops wounded and killed, Watson admitted, “They are too embedded in my mind to be ever forgotten.” In recognition for his leadership, Watson was promoted to command the 5th Brigade in August 1915. Among some of his subordinate commanders, Watson was known as an ambitious self-promoter who sacrificed the lives of his men to “gain public notice and repute.” On 11 May 1916, Watson succeeded Lord Brooke in command of the 4th Infantry Division, which arrived in France that summer. Thanks for reading! I agree. Watson was a interesting fellow. Thanks for adding the bit about his and Odlum helping Currie. Using personal funds to pay off someone else’s misappropriated expenses to avoid a scandal– Nigel Wright and Senator Duffy were just following historical precedent! I like your postings on Watson. My grandfather was with him in the 8th Royal Rifles & his ADC for a period in 1916/17. Can you tell me source of this quote? I’ve seen it before but I’ve never seen the original source revealed.